The newest Smash Bros. game is finally here! Scheduled to be released on December 12, Super Smash Bros. Ultimate is the newest release in the Super Smash Bros. series and features characters that cross their own worlds in order to fight in this exhilarating game. This game allows you to not only battle against fighters from past series, but also to use the best items and fighting platforms in history. This combination of old and new is truly a match made in heaven! But that's not all! Kirby has been suggested to be a key character after being the only survivor in the World of Light mode. This finding has heightened the fans' expectation toward the game. 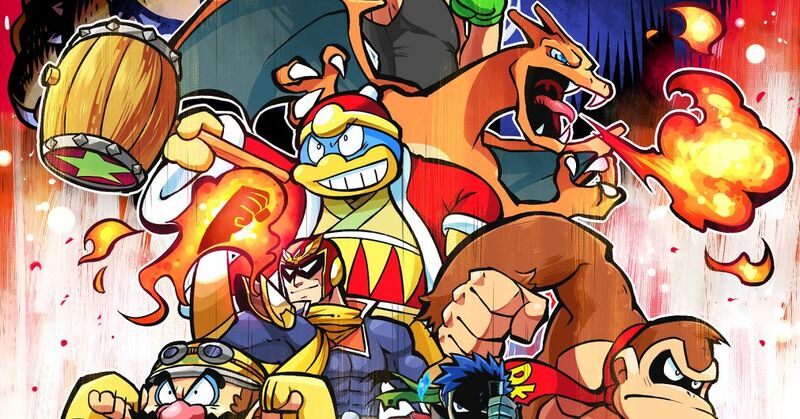 This time we are featuring illustrations of the fighters that will appear in the game Super Smash Bros. Ultimate. Sit tight, the release date is just around the corner! Enjoy! IT'S A ME, WARIO !! !